Everyone needs help sometimes. We all need God’s help all the time! At FPC we believe in the power of prayer, and have seen lives changed countless times as a result. 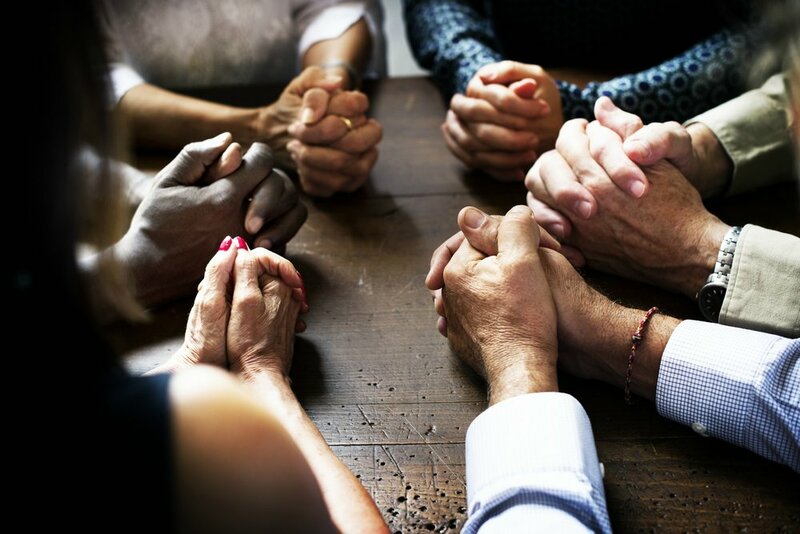 Some church members pray daily for the prayer chain requests that show up in email inboxes; some gather weekly to pray at the church building. Pastors, elders and deacons pray on their own and together; in the fall of 2017 a group started meeting between worship services to pray for our nation. If you need prayer, or if you would like others to join you in praying for a loved one, please get in touch. All prayer requests are held in confidentiality or shared as requested. You can leave a message on the Deacons' Prayer Line, 747-1050, or contact the Associate Pastor for Congregational Care, Pastor Betsy Wynne at 747-1058 x253. Other ways to pray at FPC.... The Intercessory Prayer group meets at the church at 8am on Thursday mornings, Room 212. This group has been praying for the church and the world for 30 years and is still going strong in the Spirit of the Lord! There is always a member of the Prayer Team available to pray with you following each Sunday worship service.